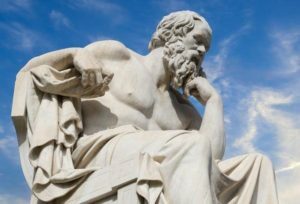 A Philosophy major provides students with the rich history of the western philosophical tradition and values of free, impartial and disciplined inquiry. As a philosophy major at Northwest, you gain skills in critical thinking and clear expression that integrates with multiple fields through Northwest’s interdisciplinary electives. The major focuses on five core areas: ethics, logic, history of philosophy, epistemology and metaphysics. Ethics is the study of the standards of right vs. wrong action; logic describes the fundamental rules in respects to reasoning; history of philosophy goes back 2500 years discussing the philosophical movements from the ancient world to the present day; epistemology is the theory of knowledge, justification and the requirements of belief; and metaphysics discusses the driving forces of reality.